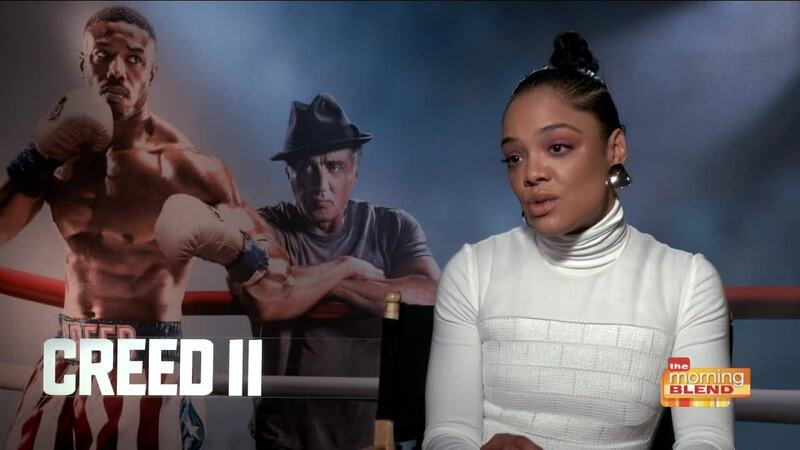 Actress Tessa Thompson talks "Creed II"
In 1985, Russian boxer Ivan Drago killed former U.S. champion Apollo Creed in a tragic match that stunned the world. Against the wishes of trainer Rocky Balboa, Apollo's son Adonis Johnson accepts a challenge from Drago's son -- another dangerous fighter. Under guidance from Rocky, Adonis trains for the showdown of his life -- a date with destiny that soon becomes his obsession. Now, Johnson and Balboa must confront their shared legacy as the past comes back to haunt each man. Creed II is now in theaters. Jim Ferguson rated the film a "B."